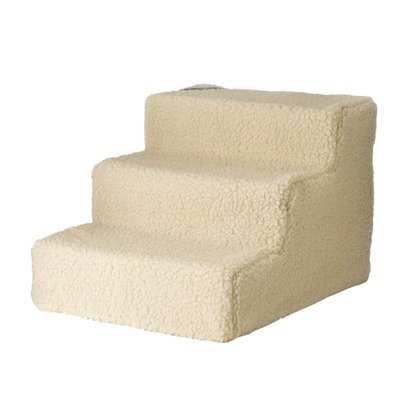 Deluxe Doggy Steps are ideal for senior or small dogs needing help to get onto couches or beds or just those overly obese pooches that eat way to much cheese. These steps are easy to assemble and the plush acrylic cover is machine washable. Recommended for dogs up to 70 lbs. Order yours today– but you’d better hurry Christmas is right around the corner. I bet you can’t wait to see the joy on their faces when they tear open the package and finding a Deluxe Doggie Step. Well look at it this way, it’s not a can of Simonize!